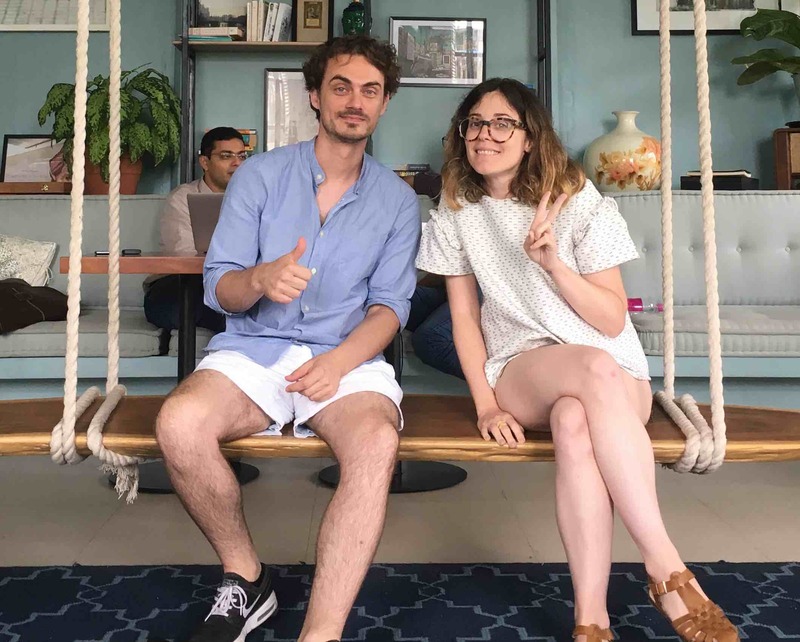 Pauline and Dimitar are the founders of Coworkies, a Berlin based company connecting like-minded professionals working out of coworking spaces and displaying job opportunities. For the last 2 years, they’ve been doing a coworking world tour. They visited 287 coworking spaces, in 30 cities around the world, with majority in Europe. They are sharing their main learnings and takeaways from an almost 2 years long tour. Hi Pauline. Can you introduce yourself, the initiative you run and why you had the idea to tour coworking spaces in Europe? With my co-founder at Coworkies, Dimitar, we started about 2 years ago and at the time, I was managing a coworking space myself in Berlin (called Rainmaking Loft, which rebranded recently as The Place) which is only for startups. Dimitar was working for Startupbootcamp (a startup accelerator) that was one of our tenants. There, we realized that members were constantly seeking other professionals to work with but their opportunities were only limited to their physical space. At the time, we knew the coworking scene of Berlin quite well but did not really know how other cities were doing coworking in the sense. Why did it started there? who are the local players? How do people use the space to connect? Why are people actually needing a coworking space and many more questions for which we were seeking answers? Instead of relying only on what we found online, we decided to pack our bags and travel the world of coworking! Traveling is for us an incredible learning curve, we get the chance to meet inspirational founders and managers and see really interesting coworking concepts. How did you choose the spaces and community you visited? Before going somewhere, we do a lot of research about the city we are about to visit. 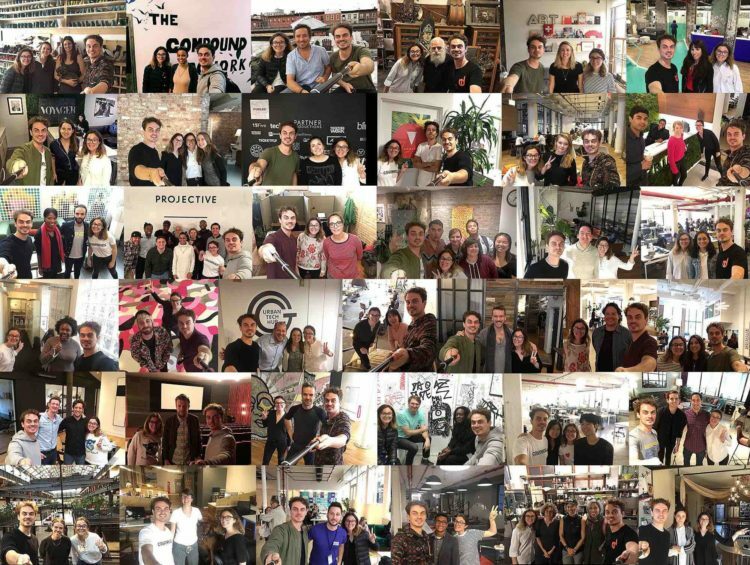 We strongly believe that coworking is about the people and not about sqm., so we look for spaces who are in coworking to build meaningful and impactful communities at work. 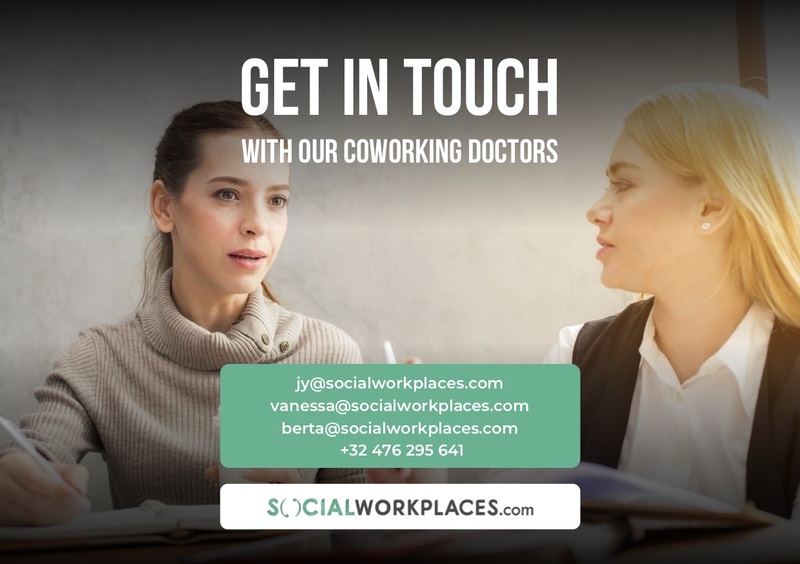 Next to our own research, nowadays we also get a lot of tip from the network of coworking professionals we’ve created. There are so many coworking spaces, what kind of criterias did you use? In relation to the previous question. We prioritize recommendations by our network for coworking spaces with passionate founders. I think this is the most important one. There are no reasons for us to meet people who are not passionate about what they are building. After having toured the Europe’s coworking scene, what are you three main learnings you come back with about the development of coworking on the continent ? 1.There is no best coworking space – each and every coworking space is VERY unique! During our travels, we often get asked “so what’s the best coworking scene you’ve seen?”. To be honest, there is no best coworking space. Each and every coworking space we visited is very unique and has its own vision, vibe and community. In Europe, we were amazed to see how diverse the market is – there are so many different type of spaces: from makerspaces to coworking for parents or musicians, it’s really blossoming around many interesting topics. 2.The coworking market in Europe stretches from mature markets to very new markets. Europe is a very interesting place when it comes to coworking. If you take Berlin, where coworking started between 1999 (with hackerspace C-base) and 2005 (Betahaus) the market is now more mature. Some of the spaces have been around for more than a decade and have seen many spaces coming into their market. It also means that people are “aware” about coworking because they’ve seen it for so long. On the other side of the spectrum, if you take cities like Warsaw or Bratislava, coworking is a much newer concept and they need to educate the market from scratch to what it means to cowork and what is the difference compared to Regus or just a normal office. Our journey took us, so far to three continents. And when comparing Europe to the rest we see how here in Europe we have more independent coworking spaces, that means in Asia there are way more brands who have multiple locations. Related to that is also the size of spaces in Asia and USA, they feel significantly larger than those in Europe. Of course we have few mega-hubs like Station F or Maria 0-1 in Europe, concepts that have not catched up so much in Asia yet. Are there strong differences between cities or countries you visited ? Coworking did not start everywhere for the same reasons: in London, it started because prices for offices were too high. If you look at Barcelona, it started during the crisis, when Creatives decided to gather and share their workspace. The scene of each city is very different: London has about 400+ coworking spaces of various sizes from 10 to 600+ people, with a huge part of the crowd being startups. If you take a city like Madrid you will find way less coworking spaces and a lot of them are actually for creatives and artists. It’s one of the cities where we’ve seen the least amount of computers vs. the amount of hand-craft-makers. The way one does coworking is also very different from the north of Europe to the South. In Scandinavia or even in Germany, people use coworking spaces from early morning to 6PM whereas in the south of Europe it was very different! Before 10, there is not much going on and people tend to stay really late at night, so the coworking owners have to adapt to that rythm. One big difference also occurs when the city is also popular among Digital Nomads (like Lisbon, Porto or Barcelona). Building a community that includes Digital Nomad can be really challenging sometimes, but all the spaces we met do it extremely well. Madrid is one of the cities where we’ve seen the least amount of computers vs. the amount of hand-craft-makers. Do space operators shared some of their challenges? What are they ? Yes, they do! I think one of the biggest challenge that anyone always struggle with is about the business model. We all know coworking has an extremely flexible business model, which means that for some of the spaces, generating stable revenue every month is not easy. Another one is how to deal with constantly fluctuating community as you need to have really strong culture to keep the vibe intact. One of the biggest challenge that anyone always struggle with is about the business model. From what you know of coworking on other continents, what is specific to Coworking in Europe ? I think Europe, thanks to its richness of cultures and languages has one of the most diverse coworking scenes in the world. As I was saying earlier, there are so many different type of spaces around Europe, it’s really fascinating and inspiring. I believe here is where a lot of the new coworking concepts are emerging before starting to spread around the world. What did your tour inspired you about the future of coworking on the continent ? Ritesh Desai on Business centers and coworking spaces : now two sides of the same coin ? Coworking spaces, fablabs, accelerators,... Thousands of social workplaces are sprouting in cities all over the globe. Let's learn and connect these communities, engines of growth and innovation.